Announcement Professional graphic design for your parties, business and home! Invitations for birthdays, bridal and baby showers, weddings, holidays and more. Check out the "add on" shop section for water bottle labels, thank you cards, well wishes cards, signage, etc. I am currently launching a greeting card and wall art line. Most of my items come with the option of being a digital, "You Print" file or I will print and ship. With the help of OCO you get professional quality at a fast turnaround and an affordable price, truly making OhCreativeOne your "One Stop Shop" for all things Creatively Designed! LOCAL ORDERS: Email me (jennaferbconley [at] gmail.com) or FB message me before ordering. I offer FREE delivery (within Greenville and Pickens), vendor connections and lots of matching party decor that isn't in the shop for locals. I love custom orders and can work with you to create a custom look for all facets of your special event! You can ONLY take advantage of the offers mentioned if you contact me BEFORE ordering and we work out the details of your custom order. PLEASE NOTE: I offer up to 3 rounds of changes/edits (wording not design). After that, they are billed at $5 per round. Also, you have up to one month after ordering to request these changes. After that, they will also be billed at $5 per round. Turnaround time on your edits are an additional 24 hours. *For Invitations: 24 hours. Most files are e-delivered within less than 24 hours but please allow up to a full 24 hours. *Custom invitations, party packages, invitations ordered WITH add ons: 48 hours. If you need a file ASAP, please convo me before purchase to assure I can get your file to you by the time you need it. you'll receive a digital proof within 24 hours of listing purchases/wording sent. I DO NOT move forward to print until I receive approval. Once approved, allow 3 business days for your order to be printed, packaged, and shipped. Once shipped (via USPS Priority Mail-take 2-3 business days), you'll receive an Etsy notification with tracking # and estimated delivery date. Don't see what you're looking for? Just ask! I LOVE custom designs and I'm happy to design and list a custom order for you! Check back often, new designs added all the time! CONVOS AND EMAILS WILL BE ANSWERED WITHIN 24 HOURS. Professional graphic design for your parties, business and home! Invitations for birthdays, bridal and baby showers, weddings, holidays and more. Check out the "add on" shop section for water bottle labels, thank you cards, well wishes cards, signage, etc. I am currently launching a greeting card and wall art line. Most of my items come with the option of being a digital, "You Print" file or I will print and ship. I cannot say enough kind words about this seller and her product! She responded quickly and made the invitation exactly like I specified! I was delighted with the end result and my son and his friends thought it was perfect too! I ordered these invites in light purple and they came out great! Very happy with them! Carpe Diem! But first, Coffee. My life's motto!! This lovely 8x10 wall art print features mid century modern cups drawn by yours truly and is ready to ship and be displayed on your wall! 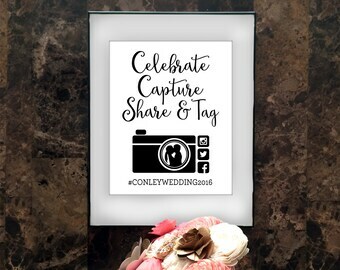 Working on new wedding printables and printed items for the shop! Stay tuned!! Wine or tea? The new greeting card line hits the shop next week! My coffee keeps me functioning throughout the day. Love my Ram (I'm an Aries!) and my EcoFlowers. My dad's super cool Underwood Typewriter and Adding Machine. my home office. I Love Metallics! A sample of one of my drawings. Professional Graphic Design for your Events, Home and Business. I graduated with a Graphic Design Associate's Degree in December of 2005. After that, I worked in various design positions in agencies and in house design firms. I left to pursue full time freelancing from my home office in August of 2009 and am still a freelancer for local and national brands. In January of 2011, I lost my wonderful dad to cancer. For the first part of that year, I was in a fog and couldn't really focus on work. In May, a friend asked me if I designed invitations. I took on the project and that got me thinking. I began to look into Etsy to sell my designs (I've been an Etsy shopper since 2005). I pride myself on the fact that 99% of my designs are my original designs and illustrations. Only a few feature purchased vector stock art. In August of 2011, I opened shop. Being able to focus on fun events, characters and themes was very therapeutic for me and brought me out of my funk! I am so thankful for Etsy and for my customers. I truly love what I do and I know it is a gift to be able to say that! Etsy has given me the freedom to work entirely for myself and design what I want. It's so exciting to know there is a customer base that appreciates my craft! I have to shout out to my awesome mom, who helps me bounce around new ideas and even helps me with catchy phrasing. She's such a blessing on so many levels. I also have to thank my wonderful husband for allowing me the freedom to follow my dreams and supporting me every step of the way. And thanks to my sweet dad, for always believing in me and giving me the faith in myself to have my own business and appreciate life. I am a professional graphic designer with over 10 years experience, an Associate of Arts and a background in illustration. On a personal note, I have a shoe and Pinterest addiction (admittance is the first step). The designs listed are sold AS IS. Color and/or font changes are an additional charge and depending on amount, will cost an additional $3-$8. I offer up to 3 rounds of changes/edits (wording not design). After that, they are billed at $5 per round. Also, you have up to one month after ordering to request these changes. After that, they will also be billed at $5 per round. Turnaround time on your edits are an additional 24 hours. If design re-work is involved (such as adding an image), I will have to charge additional revision fees. However, we will discuss this at the beginning so there are no "where did that come from" fees. I AM currently accepting custom orders, so please email jennaferbconley [at] gmail.com (or convo me) with your questions and requests and i'll be happy to set up a custom listing for you. PLEASE NOTE: As I receive my copy/info from my customers and they are asked to proof read the file (I will edit for no additional cost), I will NOT be held responsible for any typos, etc. in the final files. ** I collect your personal information to fill your order (with your wording) and send to you via email or to a physical address. As a single woman owned business, I am the only one that sees this information and I do not share it with anyone. For files that are digital and printable, no returns or exchanges will be given after files have been emailed! For printed orders: If you have any questions or concerns after receiving your order, contact me within 3 days of receipt. Any order that is received in imperfect condition (damaged during shipping) will be replaced immediately with the same item. There will be NO color or design changes. NO EXCEPTIONS. It is your responsibility to read the item's description and details. I DO NOT accept returns or exchanges. I also will not refund or exchange if there is a typo as that is the customer's responsibility to provide all text and proof all text before I print. If there is a problem with your order, please contact me before leaving feedback. I will do everything I can to ensure you are happy with your purchase. I accept only PayPal and Etsy Direct Checkout payments. Please note that I will NOT begin work on any design until payment has been received, so please keep this in mind, especially with tight deadlines. With my printable digital files, there are no shipping fees. No actual, physical piece will be mailed to you. The digital, printable files are emailed to you. Please allow 3 business days for your order to be shipped. Custom orders may take 5-7 business days. All items are shipped via USPS Priority Mail and should arrive within 2-3 business days after your order has been shipped. A tracking number and insurance will be added to every order. Please let me know if you need your items sooner and I may be able to accommodate your request. I will contact you though email regarding your order details and/or sending proofs. Printed orders will not be shipped until your proof has been approved. Please check your Etsy account for messages. International customers are responsible for all fees, taxes, and duties associated with shipping to their respective countries. All custom forms are marked as "Other" or "Merchandise". There will be NO exceptions. The link below is a tool that can be used to help determine fees but may not accurately represent your actual fees. SHOP HOURS: CLOSED ONLY ON SUNDAYS and all major U.S. holidays. All Convos and Orders placed on Sundays and all major U.S. holidays will be worked on and answered on the following day in the order they are received. *For Invitations: 24 hours. If you need a file ASAP, please convo me before purchase to assure I can get your file to you by the time you need it. *Custom invitations and party packages (or an order with more than 1 item): 48 hours. *for invitations or anything customized/personalized: A proof will sent via email or etsy convo within 48hrs for you to approve the design. AFTER design is approved, your order will be shipped within 3-5 business days. See shipping section for more info. *turnaround for ready-made items, such as my wall art prints will ship within 3-5 business days. All orders are processed in the order in which payments/information have been received in. All computers vary slightly in the way they show color and all printers vary in the way they print colors. PLEASE keep this in mind when ordering anything from me-digital or printed. Art Prints are NOT printed on canvas and are sold WITHOUT frames. I will be happy to offer bulk discounts/wholesale pricing. Please contact me if you're interested in a listing or if you have any questions!